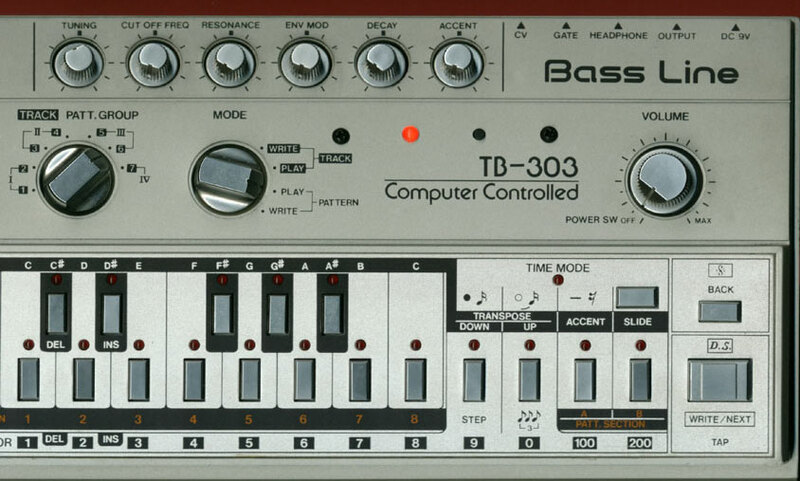 (It also includes the TR-707, TR-727, and TR-909 but they already have MIDI). * The MIDIJACK DINSYNC is designed to be compatible with these machines but Synhouse has not yet had the opportunity to do a test installation on them. It may have been tested by someone in the field unknown to Synhouse. Special note: The MIDIJACK DINSYNC may be compatible or adaptable to similar machines from Korg or other brands, due to the ability to invert the pulse polarity with external hardware and select the number (1-16) of clock pulses emitted per MIDI clock, but customers will make such purchases and tests at their own risk. The MIDIJACK DINSYNC includes a Synhouse CD-ROM which has detailed photographic plans for installation in the Roland MC-202, TB-303, TR-606, and TR-808, as well as three full manuals describing installation and use in any application. The MIDIJACK DINSYNC is for MIDI input only. All user selections of MIDI timebase, MIDI Off, and MIDI On are stored in nonvolatile flash memory, so your preferences will be remembered even with the power off! The Synhouse MIDIJACK DINSYNC requires no batteries for this. Incorporating the latest advances in MCM (Multi-Chip Module) and VLSI (Very Large Scale Integration) technology, the MIDIJACK DINSYNC matches the Original MIDIJACK and MIDIJACK II as the world's smallest MIDI device. All three of these Synhouse MIDIJACKs utilize RISC processors and proprietary data processing architecture to make them the world's fastest MIDI processors. Since the introduction of MIDI, users have suffered from slow response time and "MIDI lag". For this reason, Synhouse has developed Accelerated MIDI for use in professional music applications. Accelerated MIDI utilizes a combination of digital sampling techniques and computerized numerical data filtering processes to separate critical MIDI data from unusable redundant MIDI data, process it, and implement it instantaneously. This creates a new type of MIDI processor that is dedicated to the specific applications of the MIDIJACK DINSYNC, without ever allowing the CPU (Central Processing Unit) to be interrupted by useless data such as MIDI notes or continuous controllers being sent to other MIDI slave instruments. With the MIDIJACK DINSYNC, the analog drum machine / sequencer can receive the clock pulse while the slow-moving MIDI message is still in the MIDI cable! This allows the MIDIJACK DINSYNC to provide the tightest MIDI synchronization possible. No other brand of products has ever achieved this level of timing accuracy. The MIDIJACK is precision made from the finest materials, well exceeding the quality of the machines it supports. With tough componentry such as a chrome steel DIN jack, thick FR4 fiberglass epoxy circuit board, machined aluminum iridite mounting brackets, black oxide steel hardware, and a button switch rated to withstand over 500,000 presses, the correctly installed MIDIJACK will go the distance. Unlike external MIDI-to-DIN sync adapter boxes made previously by other companies, the MIDIJACK DINSYNC is an internal retrofit. It uses only a standard MIDI cable and no special DIN cables or AC adapters are required. It is not a kit requiring assembly and only takes an hour or less to install in most cases. The MIDIJACK DINSYNC is a fully assembled and tested microelectronic board that has a factory-made wiring harness with seven prepared, easy color-coded wire leads for simple user installation. It can be installed by anyone who can solder it to the right points. The MIDIJACK DINSYNC circuit board itself is only about the size of a single stick of chewing gum, less than 3" x 1". Having an extremely low profile, it can be fitted inside most analog drum machine / sequencers between the control panel and the circuit board behind it. It is even tiny enough to fit inside the Roland TR-606! The MIDIJACK DINSYNC Quick Installation Manual must be read fully and understood completely to qualify for warranty coverage and technical support. Although MIDIJACK technical support is a part of the warranty, every reasonable effort is made to provide information to customers after that period has expired. The MIDIJACK is warranted against defects in parts and manufacture for a period of 90 days from the date of purchase. Warranty covers a single instrument application and becomes void if in the opinion of Synhouse Multimedia Corporation the MIDIJACK has been subjected to unauthorized service, modification, or unintended installation or usage. No liability is assumed by Synhouse Multimedia Corporation for any loss or damage, direct or indirect, resulting from the use of or inability to use the MIDIJACK.